Despite all that has happened throughout this contentious election, it appears Speaker Ryan has finally reached the promise land. The Speaker did not begin his relationship well with the (at the time) Republican presidential frontrunner, Donald Trump. The two men had withheld endorsements from each other. Trump’s tweet storms directed at Ryan created a lot of Republican enemies for the Speaker. He was faced with a highly publicized primary challenge. During the darkest days of the presidential campaign, some analysts even suggested control of the House was in play. Approval ratings showed his numbers dipping. These were not the easiest of times for the Wisconsin congressman, but in the end, everything turned in his favor. The Speaker buried his primary opponent by an 85 to 15 percent split. He and Trump walked into Election Day with a renewed friendship, both men supportive of each other and eager to work together to enact conservative reform. Ryan not only won his own district, but his Republican caucus emerged barely scathed after a dismal showing by House Democrats. He is still the leader of a Republican-controlled lower chamber while his Democratic counterpart, Nancy Pelosi, is the one left attempting to convince her colleagues to keep her on as minority leader. All the success at the ballot box is boosting the Speaker’s image. 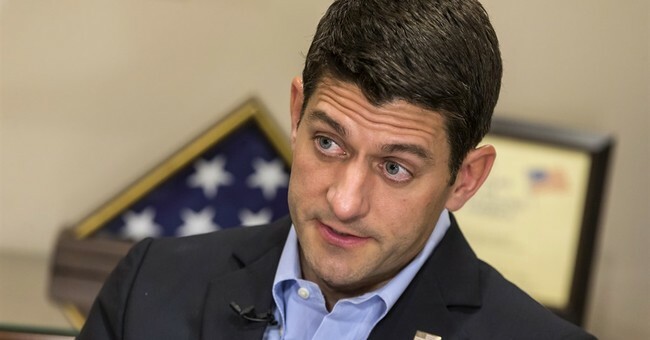 A newly released Gallup poll shows Ryan with his highest approval to date. He comes in with a 48 percent favorability rating. This is up four percent since the last Gallup poll conducted and it even shows him with a higher approval rating than Donald Trump and Mike Pence, who come in with 42 and 46 percent respectively. Considering everything that was at stake, the outcome of the 2016 election could not have culminated better for Paul Ryan. He is walking into 2017 with a GOP controlled House, Senate and White House, and he has approval ratings that give him a strong mandate to enact his coveted policy proposals.